We recently discovered this little gem down a pretty cobbled street in the centre of Wetherby. If the carnivorous members of our group were put off by the restaurant’s vegetarian status, they were soon won over. After a spicey Indian lemonade with hints of cardamom we were ready to choose our starters. 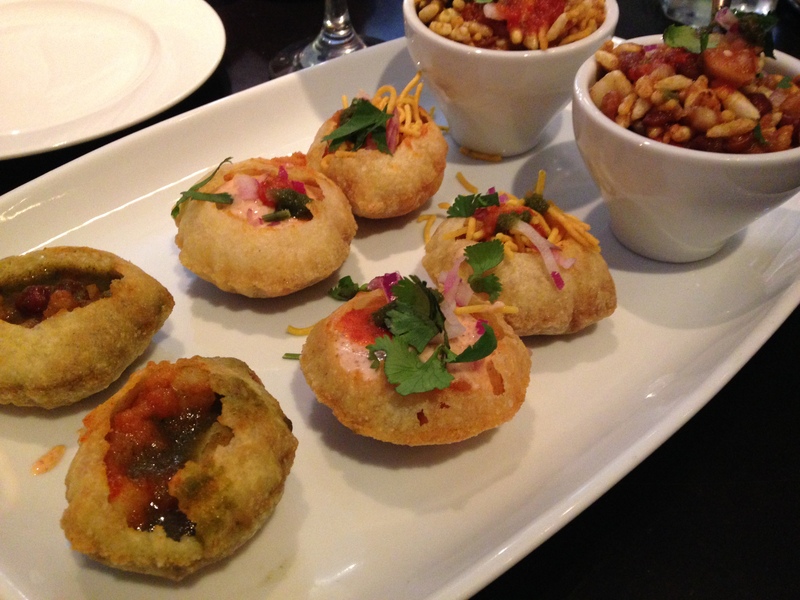 Ever indecisive we opted for a platter featuring dishes previously unknown to us such as kachori and dokra. We also enjoyed a little plate of chaat – a typical Indian street food consisting of light crispy pastries with an assortment of delicately spiced fillings. We love to sample as many dishes as possible, so ordered an assortment of curries and rice for the main course. Our favourite was the ravlya nu shakh, a dish of baby aubergines stuffed with a masala spice paste and served in a light tomato sauce . 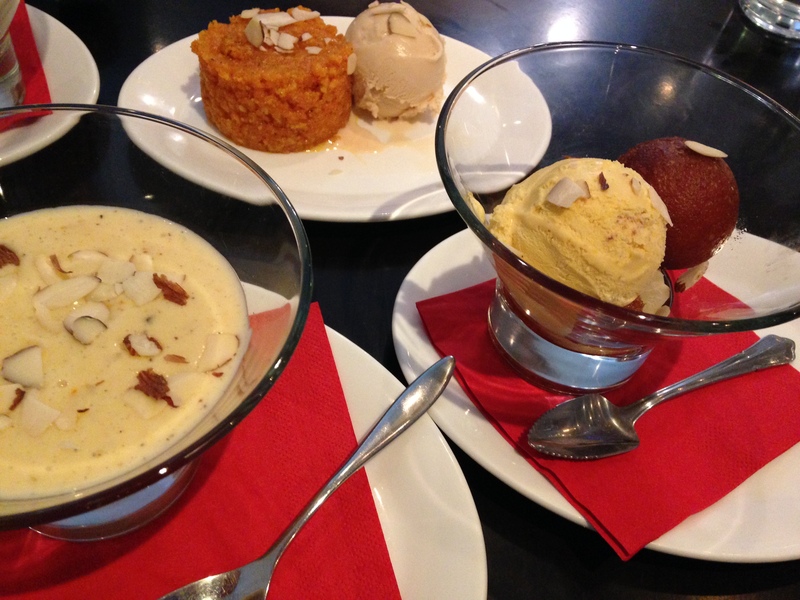 The puddings featured traditional Indian specialties such as kheer (a rice pudding with pistachios, cardamom and aromatic spices), gulum jamun (semolina balls in a sugar syrup flavoured with saffron & cardamom) and gajjar halwa (a spiced Indian carrot cake). All were delicious and full of flavour. Despite it being a week night the restaurant was almost full and had a warm, relaxed atmosphere. There were lots more interesting dishes on the menu, each distinct and far removed from the standard korma/masala/bhuna dishes of typical British Indian restaurants. 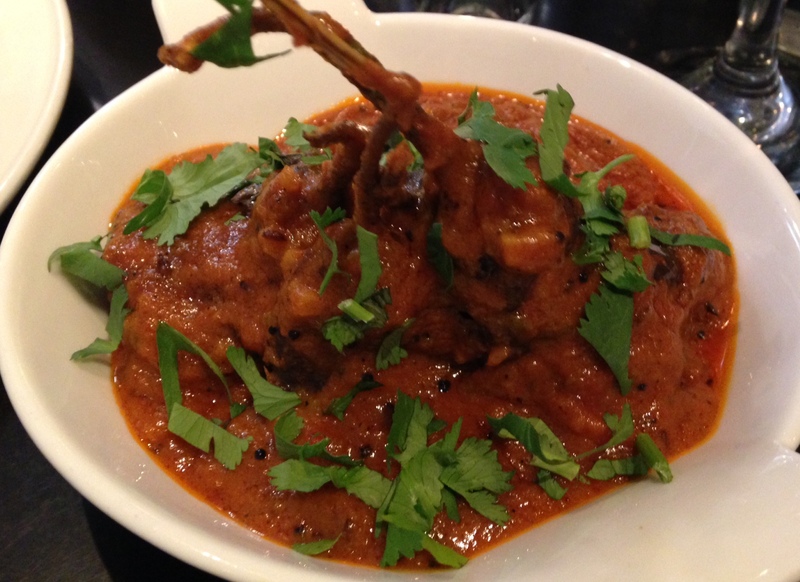 We will definitely return to continue our discovery of Indian flavours.